Where will Darrell Henderson be drafted and how valuable could he be to your dynasty teams? Editor’s Note: The season is just beginning for DLF! We continue our 2019 Early Look series today as the new year really puts our rookie coverage into high gear. 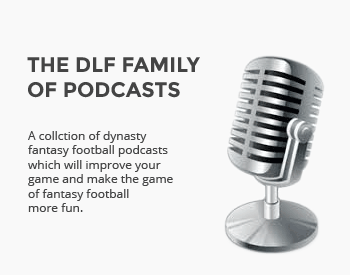 Enjoy all we have to offer in the upcoming months and thanks to all of you for making DLF the world’s number one dynasty fantasy football site. Darrell Henderson was far from an elite high-school prospect, signing with the Memphis Tigers as a three-star recruit (0.8058 247Sports composite score). According to MaxPreps, Henderson ran for 4,277 yards and 56 touchdowns on 579 carries as a junior and senior at South Panola High School. While Henderson had the high school production, he ranked only as the 1,905th player in the country, 159th running back, and 42nd player in the state of Mississippi. He received offers from Georgia State, Middle Tennessee State, and Southern Miss before ultimately signing with Memphis. Henderson also showed interest in Georgia, Mississippi State, and Ole Miss but never received an offer from the Power 5 schools. Justin was introduced to fantasy sports at the age of 10. He immediately fell in love, playing season long NFL leagues on a yearly basis. He eventually found DFS, which he plays on a near daily basis to go along with his season long and dynasty leagues. Agreed Matt. On tape everypne else looks like they are in slow motion except him. I would put big money on him being sub 4.5. Can we get a rookie mock draft please? Does Damien Williams success in KC, temper the enthusiasm of the Chiefs drafting another back high? Tampa Bay would make for a helluva situation for him to land into.